There’s more than just of whiff of mystery, even conspiracy, in the subject matter of first-time filmmaker Ethan Warren’s West of Her. Inspired by the real-life phenomenon of the Toynbee Tiles, the film follows protagonists Dan and Jane as they roam the countryside in service of a secret organization, laying linoleum tiles inscribed with a cryptic message. But there’s also a very human story inside the puzzle, of two young people looking for purpose and meaning at a very vulnerable stage of life. “When I wrote the story, I thought a lot about what I was going through at the time,” says Warren. “I was in my early 20s, adrift, not feeling like I was a part of something bigger in life. There have been a number of theories advanced as to the meaning and origin of the tiles, but to date, their provenance is still uncertain. Warren found himself fascinated by the weird mix of legend and rumor surrounding the tiles, but even moreso by the nature of the human impulses underlying an effort of that scope. And so the story of the film became, in so many ways, the story of Warren’s own evolution from a young man struggling through the confusion and ennui of his post-college years to a filmmaker with a vision and a purpose. He describes the evolution of the story itself, from short story — Warren earned his Master’s in Creative Writing at UNC-Wilmington — to novella to screenplay. And then the journey of launching a full-length film production, an effort seeded when Warren, still an undergraduate student, took a four-week film course back in 2006. “It was very exciting and liberating, but also a lot of work,” says Warren, who called on an old college buddy, Cameron Bryson, as cinematographer and co-producer. Warren says West of Her was funded largely through an Indiegogo campaign, plus a small handful of private investors. The shoestring budget necessitated careful planning, especially given the fact of the film’s shifting locales. “I learned a lot about what it takes to make a road movie,” Warren says. “There’s renting an RV, and planning the budget over time, and all the things you have to plan for and anticipate during a road trip. Hotel rooms, lunch on the side of the road, arranging locations. Though it offers an interesting take on a singularly strange phenomenon, West of Her probably won’t yield any answers for conspiracy buffs interested in the actual Toynbee Tiles. “My tiles are just a fictionalized version of the real thing,” Warren says. “But I do think there is a kind of moral to the story. 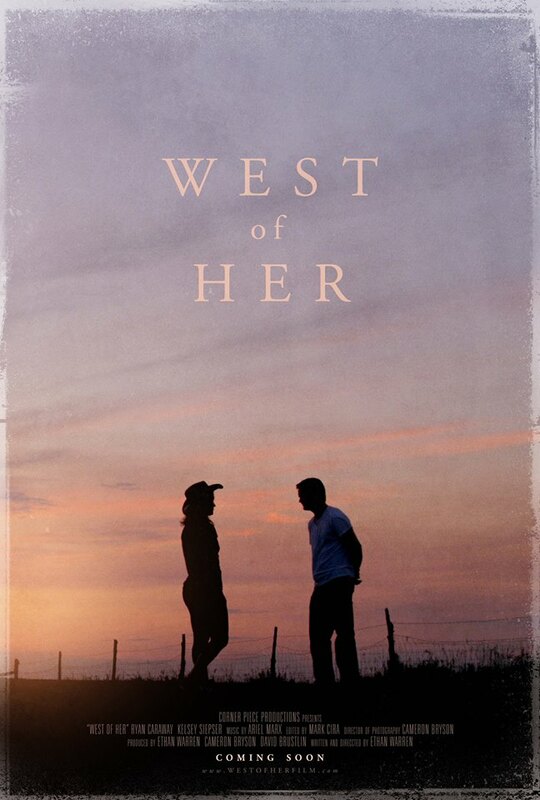 West of Her will screen Saturday, April 30 at 7 p.m. at Scruffy City Hall.